Joshua Cowen is an associate professor of education policy at MSU. He says participation in "schools of choice" rose by 42% between 2005 and 2013, even as Michigan’s overall K-12 student population declined. By 2013, 7.1% of Michigan school children were enrolled at "schools of choice" schools. But Cowen says enrolling and staying are two different things. Cowen says the same students more likely to opt for schools of choice were also the same group that tended to leave before graduating. But moving from one school to another may not be best for the student. Cowen says the disruption of moving, even to a better school, tends to hurt academically weak students. The MSU study is funded by the Walton Family Foundation and the U.S. Department of Education. American public education has a strong tradition of neighborhood schools within locally-controlled school districts. But that’s changed in recent years. The vast majority of Michigan school districts participate to some degree in what’s known as schools of choice—meaning they’ll accept some students from outside their district’s borders. Now Governor Snyder wants to make schools of choice mandatory. 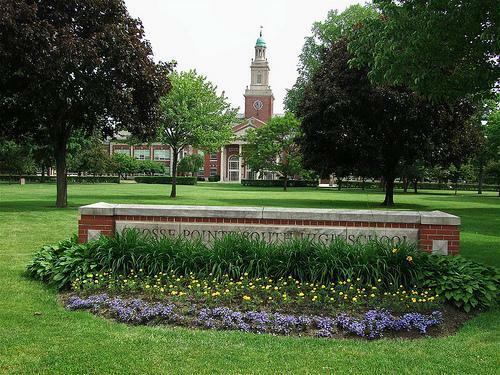 But many people are against that—including many in the Detroit suburb of Grosse Pointe. The superintendent of Albion Public Schools wants nearby districts to stop sending buses to Albion to pick up school-of-choice students.